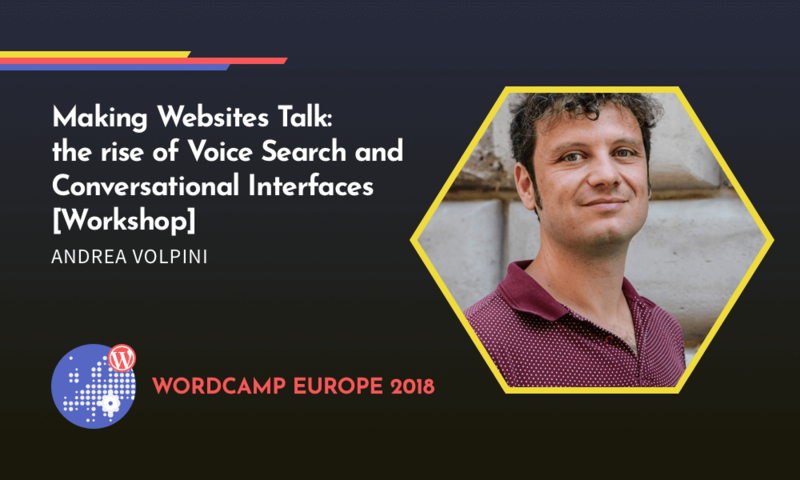 If you want to leverage on voice search and conversational interfaces to grow the traffic of your website, this video is for you. Making your website talk is really a way to reach a wider audience who is interested in the topics you write about. In this video, our CEO Andrea Volpini will share with you a series of lessons that we’ve learnt, while doing our experiments to make our website talk with a chatbot. An example of Google Action that we’ve built which is called Sir Jason Link. Learn how to use the power of semantic intelligent content to make your website talk and to improve the findability of your content. how to build a chatbot for your website and an app for the Google Assistant, and the discovery of chatbots and key performance indicators to improve them. This interactive workshop was part of WordCamp Europe 2018 in Belgrade. It leverages on structured data and semantic SEO techniques.